In the not-so-distant future, India has fallen, and the world is on the brink of an apocalyptic war. An attack by the terrorist group Invisible Hand has brutally eliminated the Indian Prime Minister and the union cabinet. As a national emergency is declared, chaos, destruction and terror reign supreme. From the ashes of this falling world, rises an unconventional hero - a vigilante known only as Kalki. 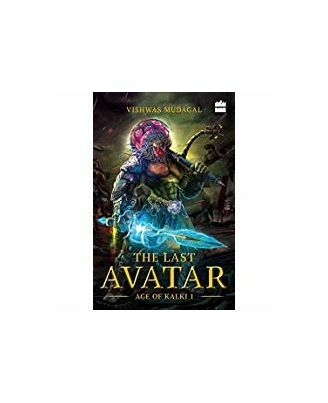 Backed by a secret society called The Rudras, Kalki, along with Nushen, the Chinese superhuman spy, must do the impossible to save his country, and the world. But who is Kalki? A flesh and blood crusader with a mysterious past? Or the Messiah the world has been waiting for? The future of human survival depends on a single man. 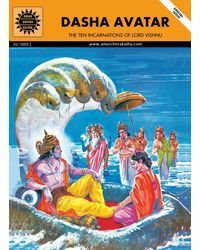 Will he become the living God prophesied as the last avatar of Lord Vishnu, or will he fade away as an outlaw? In the not-so-distant future, India has fallen, and the world is on the brink of an apocalyptic war. An attack by the terrorist group Invisible Hand has brutally eliminated the Indian Prime Minister and the union cabinet. As a national emergency is declared, chaos, destruction and terror reign supreme. From the ashes of this falling world, rises an unconventional hero - a vigilante known only as Kalki. 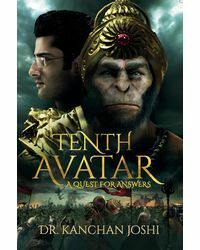 Backed by a secret society called The Rudras, Kalki, along with Nushen, the Chinese superhuman spy, must do the impossible to save his country, and the world. But who is Kalki? A flesh and blood crusader with a mysterious past? Or the Messiah the world has been waiting for? The future of human survival depends on a single man. Will he become the living God prophesied as the last avatar of Lord Vishnu, or will he fade away as an outlaw?